I searched at different shops, but because I no longer knew the name, it was basically impossible to find. And then I stopped at a quilt shop I haven’t been to in a number of years. I seemed to recall that this MAY have been the place where I purchased the layer cake almost a decade ago. I brought out the cutting samples that I carry with me, and turned to the owner. 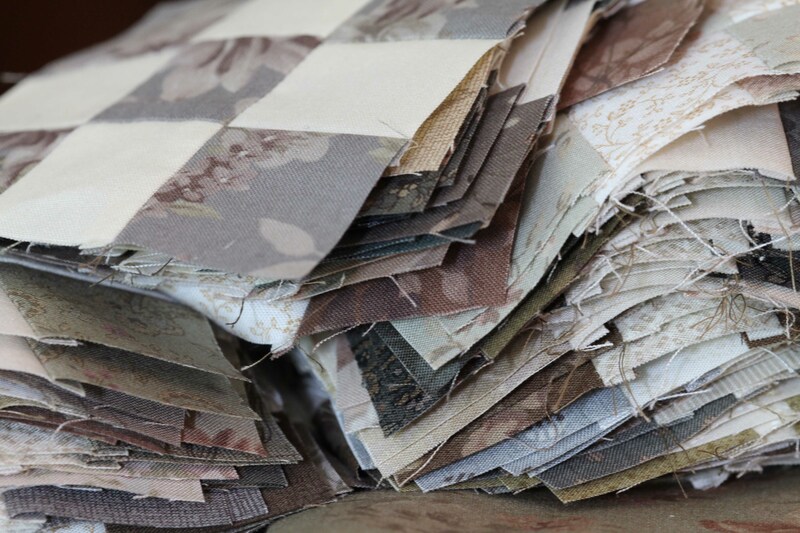 She continued to scrounge through her clearance fabric and one by one found beautiful remnants of the fabric. A yard here, a yard and a half there, another yard here. We found enough for the back of my 80 x 80 in. quilt, and more for any accessories I might like to add. All at clearance pricing. 9 yards total, and I felt like I had won the lottery. 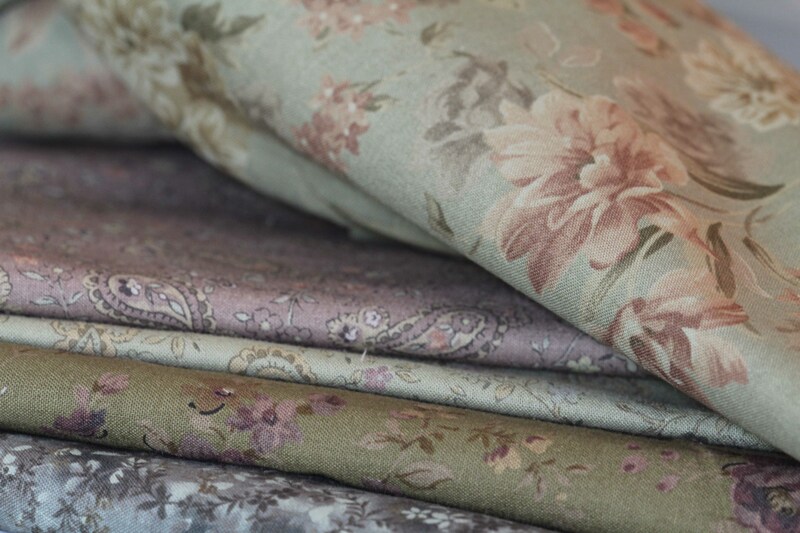 The name of the fabric line is Evening Mist, by Sentimental Studios, for Moda. And the name of the shop is Basketcases in Clare IL. Above, over 120 – 4 1/4 in. 9 patch squares. The quilt still has a long way to go.